Everyone has a story; a journey and a path that brought us to this very moment. Our path is unique to each of us, and it can be a difficult realization that we might need to change our path, and find the courage to admit we need support. Especially when not changing our path could be the difference between life or death. Sometimes our path takes us to places we never expected, and sometimes those places are downright scary and lonely. It was in the most dark and frightening time in Leslie’s life that Turning Leaf became one of his most integral, life-changing supports. Before Turning Leaf, Leslie struggled with addiction and homelessness, and his situation was only worsened with the onset of schizophrenia. 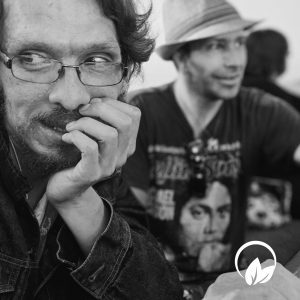 Turning Leaf gave Leslie unconditional acceptance in the truest sense of the term, compassion as an individual deserving of respect, caring, and safety, and ultimately, the support he needed to stabilize and work towards physical, emotional, and mental wellness. Leslie’s path to wellness has not been easy. He has had to face being stigmatized and unfairly judged, and he has had to work incredibly hard to get to the independent, confident, happy place that he finds himself today. Currently Leslie attends the Turning Leaf Marion Day Program four days per week, participating in daily programming such as life skills, self-esteem building classes, creative expression through art, journal writing, goal setting, social activities and outings with peers, and Leslie also works at his job, arranged by Turning Leaf, twice a week. Please consider supporting Turning Leaf with a monetary donation so we can continue to help people like Leslie live their best life.